Read our guide to help you find the ideal place to settle in the area. You’ll find everything here, from historic towns like St Maixent l’Ecole to locations like Arçais with a harbour. 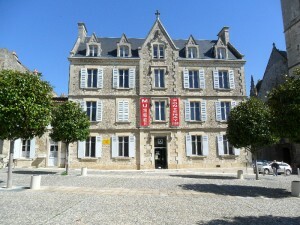 There are also several examples of villages designated as some of the most beautifulin France. Known locally as the Village of Painters, Vouvant has been designated one of the Plus Belles Villages in France and it’s easy to see why… Stone houses cluster round the banks of the river Mere, which winds its way through the heart of Vouvant with the impressive ramparts, postern and ancient bridge all adding to the romance of this medieval village. The area surrounding Vouvant is popular with anglers and the famous Mélusine tower – said to have been built in one night by the fairy Mélusine in 1242- offers spectacular views over the river. These vistas and the Romanesque Church with its impressive carvings have proved an inspiration to the artists that flock there to paint and those whose work is shown at one of the regular exhibitions held in Vouvant. Situated on the edge of the Mervent Forest which has been designated a Station Verte (green resort) due to its unspoilt environment, Vouvant is also an ideal base for the walking enthusiast and has a popular riding school. Fontenay le Comte is the former capital of the Vendée and stands around 25 miles from the Atlantic coast on the banks of the gently flowing Vendée river. A stroll or accompanied tour on the “mille ans d’histoire” route is to be recommended and clearly reveals the remnants of Fontenay’s long history from its development as a fisherman’s hamlet. The medieval centre of this popular town boasts charming half timbered houses as well as some impressive mansions and is encircled by the 15th and 16th Century buildings of the Renaissance. 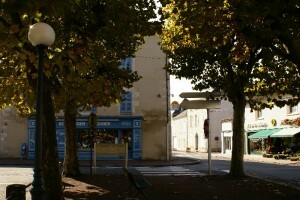 With numerous popular restaurants and bars and a wide range of shops and services on the doorstep, Fontenay le Comte deserves its reputation as one of the most popular towns in the Vendée.The surrounding countryside is home to the traditional Vendéen farmhouses whose distinctive red tiled roofs make them highly sought after. Situated on the edge of the Mervent Forest, a stone’s throw from Fontenay le Comte, the grapes that go to make up the elegant Pissotte wines benefit from the many hours of sunshine that the area enjoys. Wines have which have been produced at here since the late 17th century and the rosés with their delicate bouquet of wild strawberries are particularly suited to accompany those long, lazy lunches that are so typically part of the French way of life. Pisotte is one of the four main wine producing areas in the region (along with : Mareuil, Vix and Brem) whose growers – the Fiefs Vendeen- produce wines which meet the AOVDQS standard. 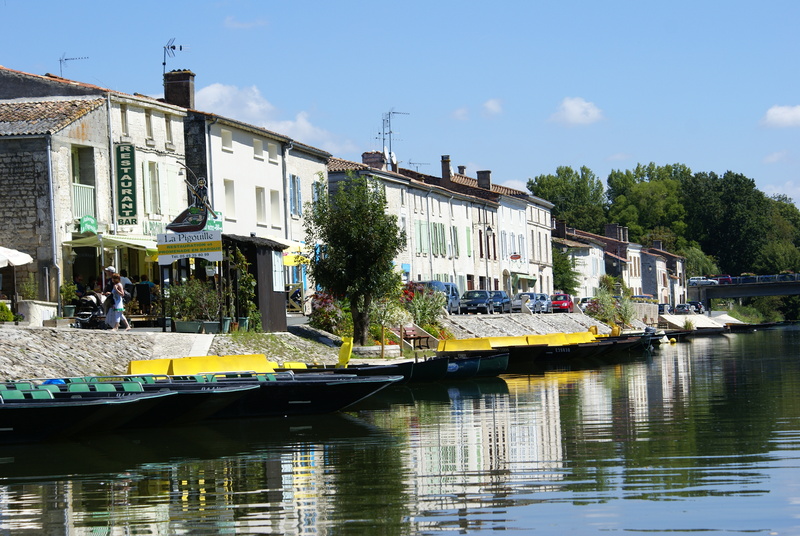 The Marais Poitevin lies at one end of the Coulee Verte that runs along the banks of the Sèvre-Niortaise river to the heart of the impressive historic town of Niort. With a population of around 60,000, Niort is the capital of Deux – Sèvres,it’s skyline dominated by the twin spires of L’église Saint André and the Donjon d’Ailenor d’Acquitane which towers imposingly over the river – a reminder of the years when England ruled over much of western France. The many lovingly –restored buildings cater for the needs of visitors and residents alike with exhibitions , museums and theatres. The tiny medieval squares invite you to linger and enjoy a coffee en route to the Place de la Breche at the heart of the lively town centre. The impressive iron, steel and glass facade of Les Halles houses a vast market where more than 150 traders sell an enormous range of produce including the angelica for which Niort is famous and the world renowned Échiré butter which is made nearby. A stroll down by the river lifts the spirits and makes you reach either for a camera or a paintbrush depending on your talents; Niort has a gentle light that softens the outlines of its architecture and reflects romantically in soft focus after sunset. The numerous bustling bars and restaurants and excellent shops are a reminder that this city is the prosperous headquarters of several major insurance companies. If living in the centre of the city while still keeping a foot in the tranquil French countryside appeals to you, Niort could be an ideal choice. This popular town which takes its name from the old French for chestnut, was originally built in medieval times around a chateau and suffered a turbulent history, particularly during the wars of the Vendee. is well served for amenities with banks, a swimming pool, library, supermarkets and a range of cultural clubs and events. Schools in La Chataigneraie include a Campus of the International School of Geneva where classes are taught in both French and English. 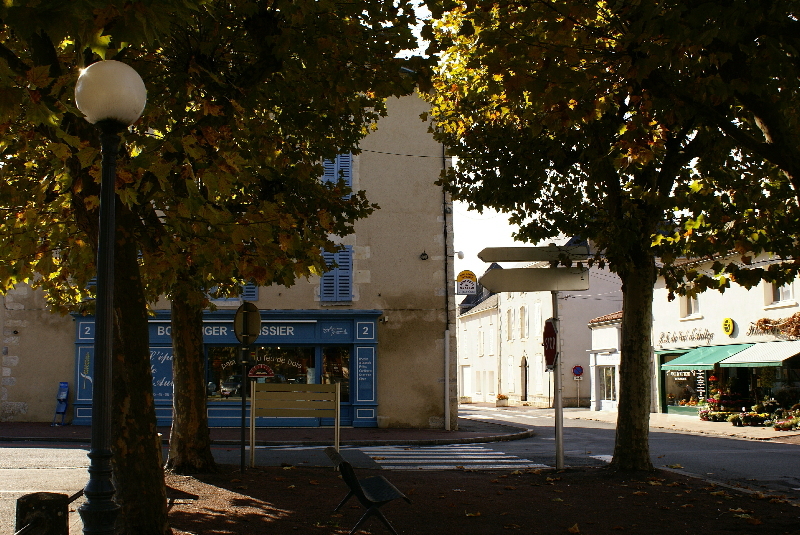 Both the town and surrounding villages are popular with British buyers and the local cinema shows both French and English films. For the more energetic, bungee jumping is also available at the nearby Caquillier Viaduct at Bareil Barret. The charming village of Faymoreau is a fascinating place to uncover the history of the mining community that caused it to be built in 1827. Its 130 year history of mining is commemorated in the Centre Miniers de Faymoreau with a range of exhibits including an exciting virtual descent into a mine of 500 metres. A stroll around the village reveals the original miners houses and you feel you’ve gone back in time when you arrive outside the art deco Hotel Des Mines which was built in 1918 and seems to have changed very little. On the edge of the village lies an unexpected haven of peace –a picturesque fishing lake whose green painted fishermen’s huts are perched on stilts at intervals around its three sides. The only sound to be heard here is the continuous birdsong that is accompanied at intervals by the gentle plop of a line being dropped into the still waters of the lake. Like many of the picturesque villages of the Marais Poitevin, Damvix is a popular location for artists and nature lovers. Damvix is an excellent starting point from which to explore the Sevre-Niortaise river. It is possible to hire a range of craft here ranging in size from canoes upwards and if you want to sample the real romance of the waterways, try taking a leisurely evening dinner cruise. If you prefer to stay on dry land, there are several good restaurants and cafes to choose from. The 15th Century church is worth a visit and Damvix is also a good place to hire cycles. The area is home to a huge range of wildlife and the availability of eco-friendly methods of getting out and about in the area will appeal to those aiming for a greener lifestyle. Located at the gate of the marshes of the Poitou, is the capital of the Venise Verte and one of the Plus Belles Villages in France. This much photographed town has a host of waterfront restaurants, shops and quaint fishermen’s houses that are reflected magically in the still waters. The waterside and surrounding area are a haven for wildlife with the bird reserve at St Hilaire La Palud housing over 70 different species of birds. Here, pale coloured houses cluster around the sinuous white paths that weave their way through the medieval waterways. Life here is lived at a leisurely pace that mimics the gentle progress of the traditional flat bottomed boats through the green waters. Take time to unwind in this peaceful environment and blend into the landscape travelling by bike, calèche or simply meander along one of the many trails that make walking in this area such a pleasure. Coulon also holds a popular market selling a range of fresh produce each Friday and Saturday. This delightful small market town set amidst unspoiled countryside is close to the borders with both the Charente and Charente Maritime meaning that both coastal beaches and the attractions of the city are within an easy drive. It’s attractive old buildings and streets provide a range of services including well presented shops, banks, schools, two excellent restaurants, bars, and a cinema that shows films in English and Italian as well as French! Both the Chateau de Javarzay and the old wash house are of historic interest while the lake provides a lovely setting for those with a passion for angling. In addition to popular cultural activities which include dance and theatre productions, those who love the great outdoors will find a welcome at the local stables. If you prefer a slower pace, relax as a carriage pulled by locally bred horses takes you on a tour of the area. The lovely town of Melle boasts the oldest silver mines in Europe that are still open to the public and nformative guided tours reveal the fascinating history of the mine.With shops,supermarkets,schools and retaurants, Melle is well served for commerce and the weekly market which is held each Friday offers a host of tempting seasonal produce. Romanesque chateaux,mills,fountains and wash houses abound in the surrounding countryside. For nature lovers, the well known “Aboretum,Chemin de la Découverte” is a beautiful 6 kilometer walk which winds through more one thousand species of trees and shrubs. This historic town has a proud military past and is home to a celebrated military museum. The beautiful 17th century abbey that overlooks the town was rebuilt in 1682 on the foundations of the initial Romanesque remains. Much of the limestone that has been used for the town’s buildings was excavated from the cellars of the abbey and the majority of its architecture dates from between the 15th and early 19th Centuries. Set in the midst of an agricultural area, the thriving farmers markets, held every Wednesday and Saturday in St Maixent, sell a tempting range of fresh local produce including many varieties of goat’s cheeses and the renowned local tourteau fromage (a distinctive oval goat’s cheese pastry). The local Route de Cabichou et des Fromages also offers the opportunity to take a leisurely gastronomic tour of the surrounding countryside and sample a variety of delicious locally produced goats cheeses. The town has both primary and secondary schools, shops and amenities. For lovers of the great outdoors, a range of riverside activities, including canoeing, are on offer and shooting, cycling and horse riding are all on hand nearby. Culture lovers are also well served in St Maixent. The town has an extensive programme of cultural events including the popular Easter Bach festival concerts. Every July, the International Folklore Festival provides a venue for children’s dance and music groups from around the world to display their talents. Situated on the banks of the Sevre Niortaise river, the pretty little market town of La Mothe Saint Héray is designated a “village fleuri”. Growing up around the original Chateau de la Mothe – sadly no longer in existence- and the ancient church of Saint Héray , the town contains some fine examples of medieval architecture. The spectacular ancient Orangery whose two pavilions were built in 1634 by master mason Nicholas Tillon plays host to a range of cultural events throughout the year. Situated on the side of the gently flowing river, the Orangery with its courtyard garden and rich terracotta facade is an imposing reminder of bygone days. Also of interest are the restored water mill, the 15 Century church with its three Gothic arches and the Rosière museum. The pretty village of Magné is actually an island, bordered by the Sèvre Niortaise river and its tributary, the Sevrau. Known for its International Painting Festival, it also contains some interesting historic buildings: the flamboyant Gothic collegial church of St Catherine is a listed historical monument, the much photographed metal swing bridge dates from 1901 whilst the lock, barrage and the Marais Pin lock keeper’s house date from the 19th Century. Magné is a charming place to relax, stroll by the riverside and enjoy a leisurely meal prepared with local produce in one of its restaurants. Situated on the edge of the Marais Poitevin, the friendly market town of Coulonges–sur-l’Autize, has an impressive chateau that is open to the public from May to September and is well worth a visit. The Romanesque church of St Étienne and some historic Gallo Roman remains just outside the town are also of interest. This friendly town has a bustling weekly market every Tuesday and a good range of amenities including shops, banks, restaurants and cafes. Coulonges–sur-l’Autize is a popular destination for families with attractive local properties, good schools and a range of leisure pursuits including: horse riding, swimming, tennis and cycling. This pretty stone village half an hour from Niort is surrounded by peaceful countryside and a great place to live if you are looking for a relaxed lifestyle. It is a friendly village with a good range of attractive properties and amenities such as banks, schools and local shops. This former trading port has a typically French square with a church, interesting shops and restaurants. The lanes that wind their way down to the river contain some charming examples of the cottages originally built for workers in the wood trade. The huge wooden crane that still stands in the harbour and Les Bourdettes locks serve as reminders that Arçais played an important role in the transportation of tree trunks through the marshes until the start of the 20th Century. Hiring a horse drawn calèche, boat or bike here will enable you to explore the area in a leisurely way that is in tune with the eco-tourism promoted in the Marais Poitevin. On one side of the lovely little church in Echiré are some very well presented town houses. On the other, a tiny factory goes quietly about its business, turning local milk into the luxurious Echiré butter – found on tables around the world. Dairy produce can be purchased at the factory shop and the farmers market also showcases fresh local produce. The river flows gently through the town, which has a supermarket and some good shops and amenities. 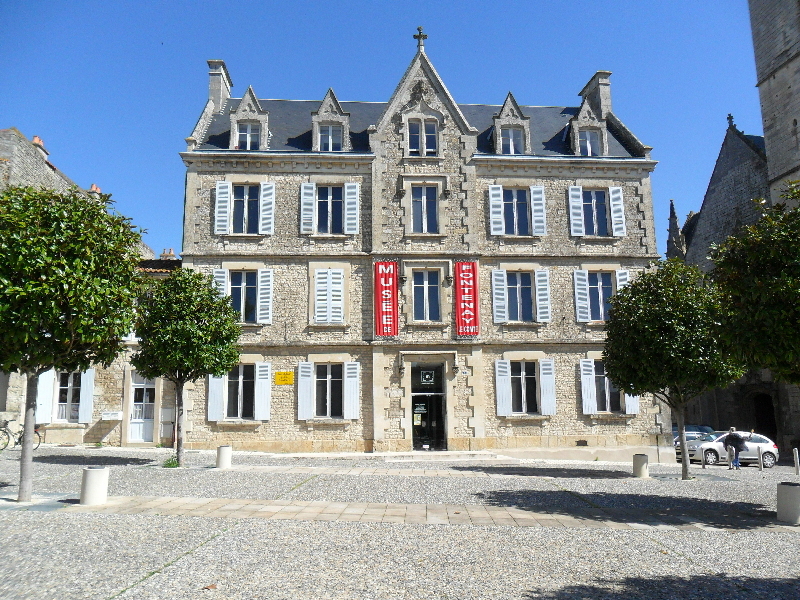 Echiré is also close to the bustling town of Niort, which is excellent for shopping trips, restaurants, bars and theatres.